Sales reps are always looking for that next big opportunity and justifiably so. But while all new big opportunities initially look great – be cautious! All “bright shiny objects” aren’t good opportunities. In major B2B sales it is critical early on to distinguish between an account that represents good and bad business. The larger the opportunity the more important it is to get it right. Reasons – time and money. Before they even get started most salespeople have a significant reduction in their selling time due to other demands and distractions. Wasting time and money chasing bad business is like salt in the wound. There are two scenarios in major account B2B selling where pursuing bad business is particularly telling. Let’s take a look the descriptions and some best practices for handling each of the scenarios. Scenario 1. Wasting time and resources pursuing a significant opportunity that is unwinnable. This scenario is the one that is more common. It is the classic example of the seductive power of a potential big win. So how do you get it right? The key step is to conduct early on in the sales cycle a more comprehensive exploration of the buying process. The probability of wasting time pursuing an unwinnable opportunity can be significantly reduced by finding answers to the following questions about the buying process. Where is the company in their buying process? Who are the players engaged in the buying process? What are the decision criteria the customer will use to decide between you and the competitors? What’s the customer’s assessment of you versus the competitors on the decision criteria? One of the major distinctions between top and average performers is top performers have a comprehensive understanding of the customer’s buying process – average performers have a superficial understanding. Scenario 2. Pursuing a significant opportunity that you believe you can win but it is a bad piece of business. First of all, why might sales reps believe they can win? The easy answer is they have done a good job understanding the buying process and things look good for them capturing the business. So the belief on winning is not based on fantasy; it is based on good selling. Yet, why might a significant opportunity in fact be a bad piece of business? Well, it could be a bad opportunity for a number of reasons related to the opportunity but in major sales most reasons relate back to a common factor: the initial customer specifications are vague or ill conceived. The core problem is poor specifications often lead to troubles during the project implementation requiring more of your resources then planned or demanding skill sets that are outside your power swing. Consequently you end up with less profit then anticipated or in the worse cases loses and perhaps a lack of resources to pursue other opportunities. This constitutes small problems in small opportunities but big problems in big opportunities. What are the best practices for handling this scenario? First and foremost, spend the time and effort to understand the customer specifications. Have an in-depth understanding of the answers to questions like: What are the details of the scope of work? What is the timeline for the work effort? What resources are they committing? Are there early warning signs of scope creep? If problems emerge in regard to the scope of work, what is the best way forward? There are two strategic options. Re-defining a win-bad situation into a win-good situation. Re-defining requires a skilled business conversation with the customer where, based on your experience and expertise, salespeople help their customers view the issues and challenges with greater clarity and insight and perhaps bring a different point of view regarding what the solution might look like. Strategically withdrawing. This is an option that most sales reps are justifiably hesitant to employ. There are, however, those situations where no business is better than bad business. If you tried but cannot re-define it, withdrawing may be the long-term best answer. If you use this option the key is not to “burn your bridges.” Withdraw in a way that enables you to maintain the customer relationship and be in a competitive position for the next opportunity with the customer. Pipeline management has moved to the front of the class as an issue that deserves more attention. In too many companies sales reps spend too little time selling and the time they do spend is not well managed. 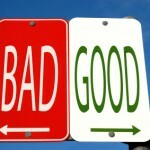 Failing to distinguish between good and bad business is just one source for this problem.